Health IT brings power to the people. And power to your practice. Take fi ve and fi nd out how MMIC Health IT can help you use technology to make better practice decisions and deliver higher-quality health care. Join the Peace of Mind movement at PeaceofMindMovement.com. 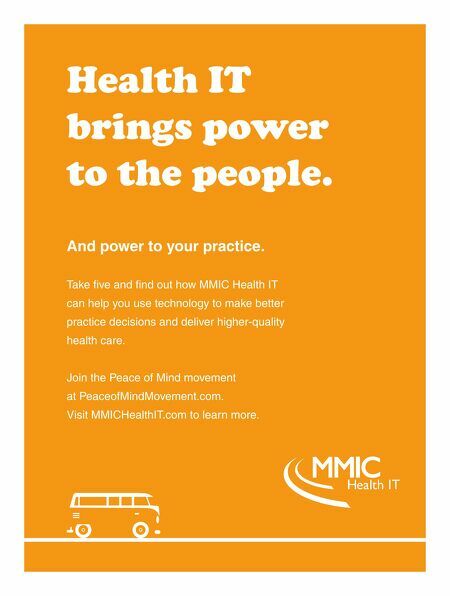 Visit MMICHealthIT.com to learn more.